A simple recipe that tastes good and goes well with french fries and chilli garlic sauce . Mix flour, baking powder and water into a runny batter . 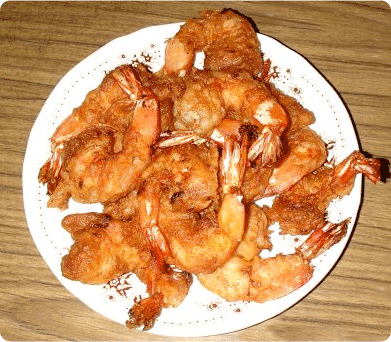 Season the prawns with soya sauce and salt , mix them in the batter .